If you feel that you are ready for work and you know the type of industry that you'd like to work in, you can use the ‘Training Search’ facility on the home page to find local training organisations that can help you find the apprenticeship that you are looking for. You can also register on the national 'Find an apprenticeship' website, where you can find current apprenticeship vacancies and apply for them. 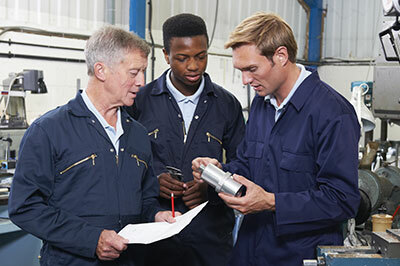 If you feel that you are nearly ready for an apprenticeship but may need a little more help to be ready then, as long as you are aged 16-24 you can do a traineeship. Use the ‘Training Search’ facility on the home page to find local training organisations that can help you find the traineeship that you are looking for. You can also register on the national 'Find a traineeship' website where you can find current traineeship vacancies and apply for them. If you feel that you might need more support before you would be ready for work then a pre-employment programme could be right for you. Use the ‘Training Search’ facility on the home page to find local training organisations that can help you find the right pre-employment programme for you.